Bikaner is one of the famous cities located in the land of palaces- Rajasthan, which was founded in the year 1486 by Rajpur Rao Bika. It has various famous tourist attractions that place this city, as a prominent one in Rajasthan Tourism. Due to this reason to make your travel experience in this city easier, we are offering this Bikaner travel guide giving all round information about major tourist attractions like temples, palaces, forts and much more. Have a look at the below mentioned famous tourist places in Bikaner or places to visit in Bikaner that are must see places and form an integral part of Bikaner Tourism. 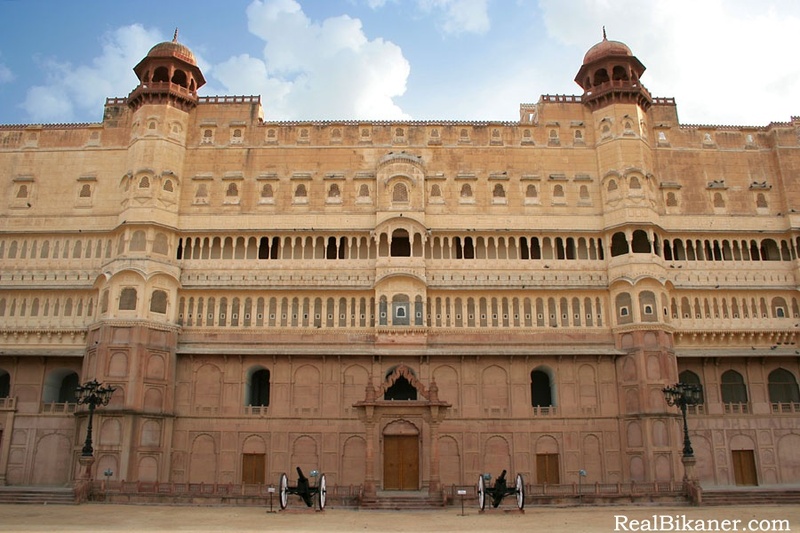 Junagarh Fort is a glorious fort that was built by Raja Rai Singh in the year 1593. This fort hallmarks theRajput, Gujarati and Mughal style of architecture. There are various attractions in this fort like Ganga Mahal, Diwan-e-khas, Dungar mahal, Hawa Mahal, Chandra mahal and many more. It has picturesque courtyards that beautify this brilliantly designed fort. Lalgarh palace was constructed in the year 1902 by Maharaja Ganga Singh in the memory of his father Maharaja Lal Singh. 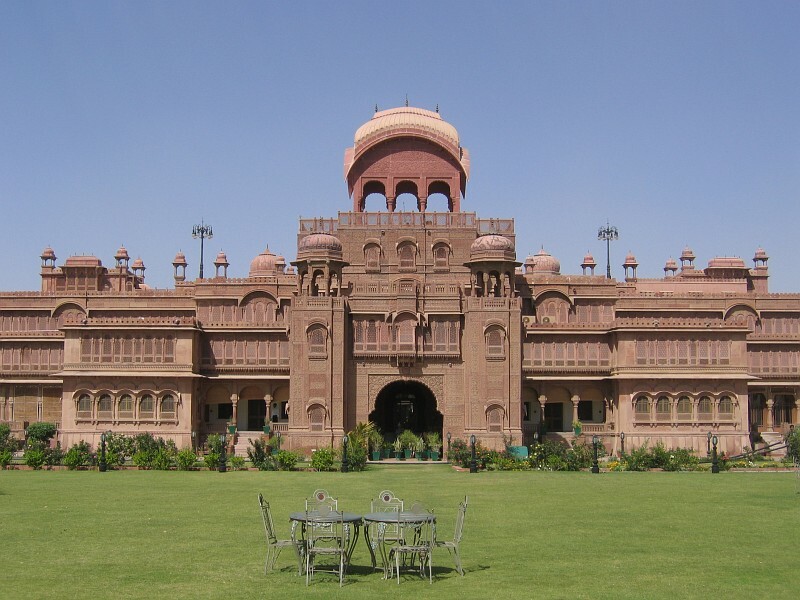 This palaces has European, Rajput and Mughal style of architecture. It is made-up of red sandstone and also has various lawn house peacocks. It has billiards room, cards room and library that can be seen by the tourist coming to this palace. 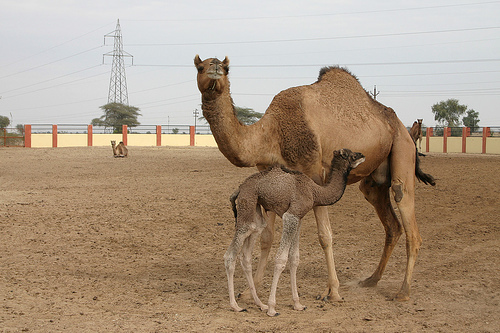 Camel Breeding farm is also popularly known as Government Camel Breeding farm and considered as one of the largest camel breeding farms in Asia. This place is located 8 km away from the main city. You can visit this place to see how the research and experiments are conducted on camels. You can find different kinds of breed in this farm. There is no availability of airport in Agra, you have to catch a train or bus from major cities like Delhi, Jaipur, Udaipur and many more to reach this city. Bikaner is very well-connected by rail service with all the major cities in India like Delhi, Jaipur, Jaisalmer and many more that enables you reach this beautiful city very easily. To reach Bikaner, roadways is regarded as the most convenient option as this city is very well-connected with all the major cities in India like Delhi, Jaipur, Udaipur and many more. At the same time, by hiring car for rental service allows you to the see all the major tourist attractions in and around Bikaner.